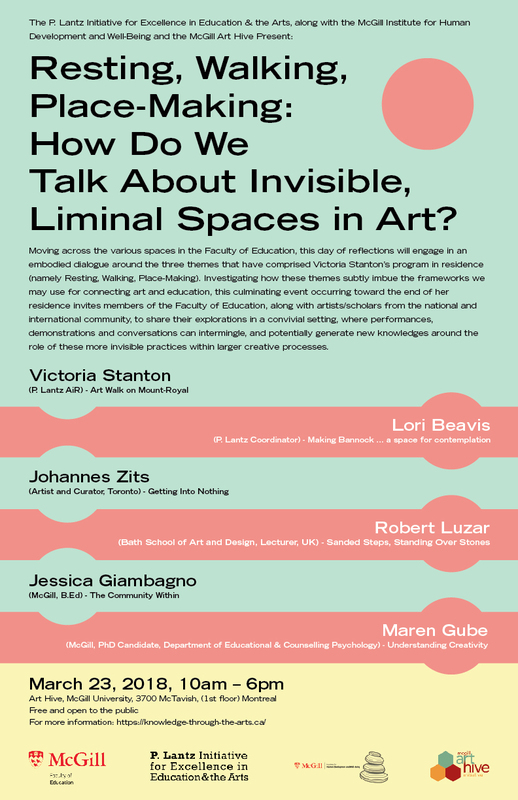 Resting, Walking, Place-Making: How Do We Talk About Invisible, Liminal Spaces in Art? This entry was posted in News on March 22, 2018 by Victoria Stanton. This entry was posted in News on January 6, 2018 by Victoria Stanton. 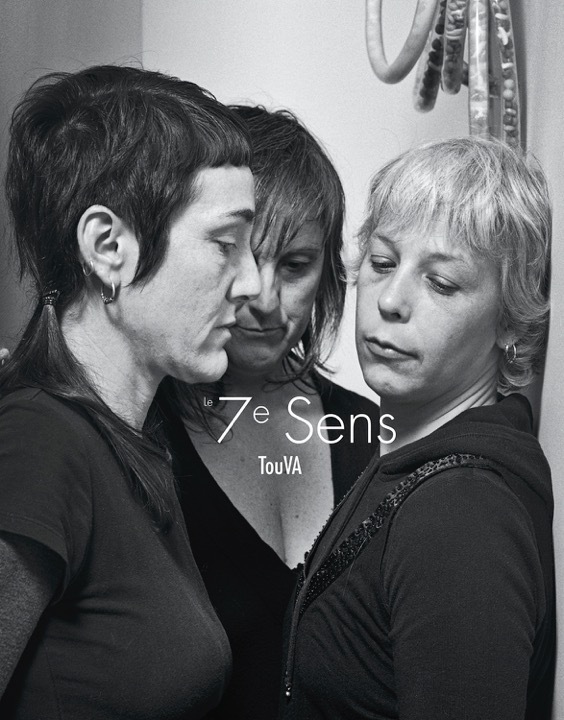 TouVA Proudly Announces the Launch of the new publication, The 7th Sense! TouVA est fière d’annoncer le lancement de la publication Le 7e sens ! 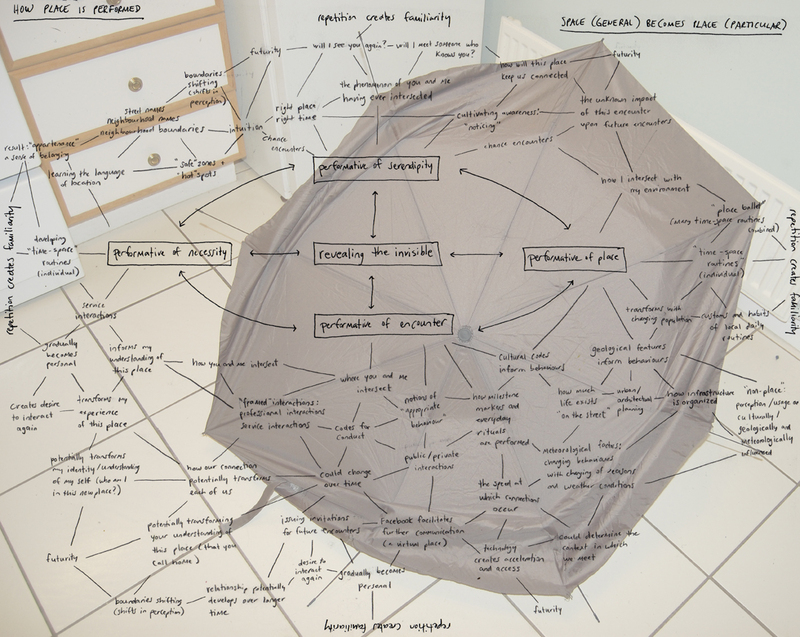 Comprised of essays, a glossary, as well as contributions by 30 contemporary performance artists, The 7th Sense surveys the performative in, with and through language. It explores a vocabulary as a process of naming, and of articulating what happens before, during and after a performative action; to express what is experienced by the artist who proposes a work, and by the audience who receives it. 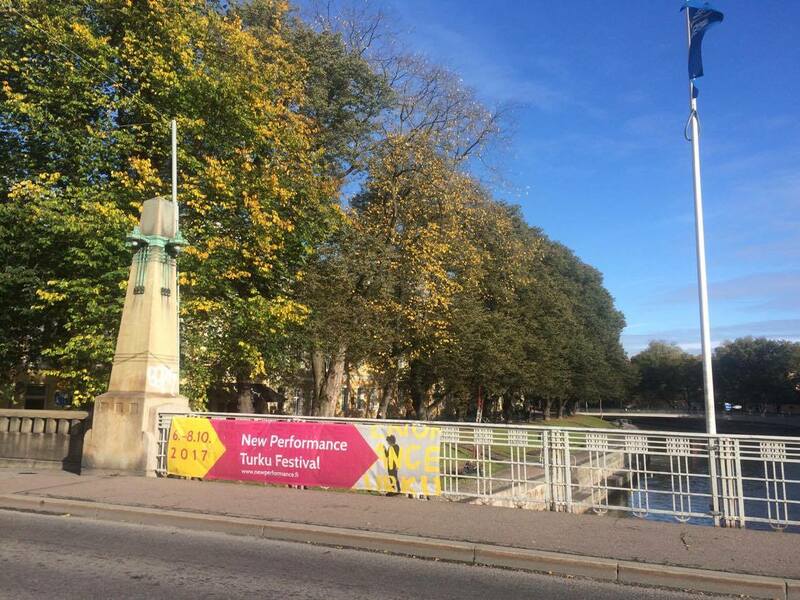 The TouVA collective presents a series of reflections which are to be understood in relationship to their artworks, and to the workshops that Sylvie Tourangeau, Victoria Stanton and Anne Bérubé have both taken or facilitated. Three practitioners’ voices offer multiple perspectives, plural yet singular, to consider the performative as an art, or as a way of life; they delineate a kind of pathway that invites the emergence and recognition of an increased sensibility in this vibrant and fleeting performative: a 7th Sense. This entry was posted in News on October 3, 2017 by Victoria Stanton. 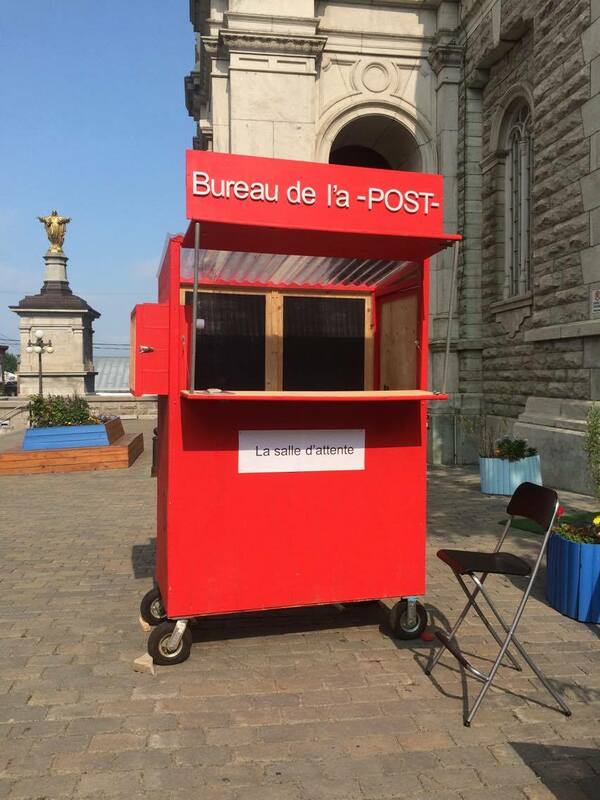 To kick off the 2017-2018 programming on the theme of POST-, Folie/Culture artist-run centre in Quebec City has invited three guest artists (Alexandre Bérubé, Julie Laurin, and yours truly) to create art in The a-Post Office, a portable structure set up in strategic locations in Quebec’s city centre. Investing the space of The a-Post Office for two days, we have each been invited to meet the public in a bustling public space to create and build relationships with neighbourhood residents through dialogue, “assembly line” productions, collaborative creations, and much more. Artists in residence have carte blanche to follow our inspiration. My proposed project, taking inspiration from the idea of the Post Office combined with my current work around Doing Nothing, has me inside my little kiosk, standing around waiting. This Office on wheels will be my site of pause: A Waiting Room (Salle d’attente) where I consider what it means to wait, and demonstrate waiting (as we once did when, in a previous era, when we mailed letters and had to be patient about getting a reply). As I spend this time thinking about waiting, I will also sit and wait, and invite people to come and tell me their stories about waiting…or to simply sit and wait with me. Eventually, something will come. Église Saint-Jean-Baptiste public square (front steps),11 a.m. to 6 p.m.
Wrap-up viewing: September 15, 5 p.m. This entry was posted in News on September 20, 2017 by Victoria Stanton. I have the pleasure of once again being back in residence at Centre SAGAMIE, an artist-run centre specializing in supporting artists’ experimentation in digital print production. The occasion that brings me there is Ghost Stories/ Histoires de fantômes/ Historias de Fantasmas, the second stage of a research & creation project that took place almost five years ago. The brief capsule: In 2012, I visited Mexico for the first time. I was stationed in Real del Monte, a former mining community in the mountains, being one of a small group of participants in an interdisciplinary arts residence. 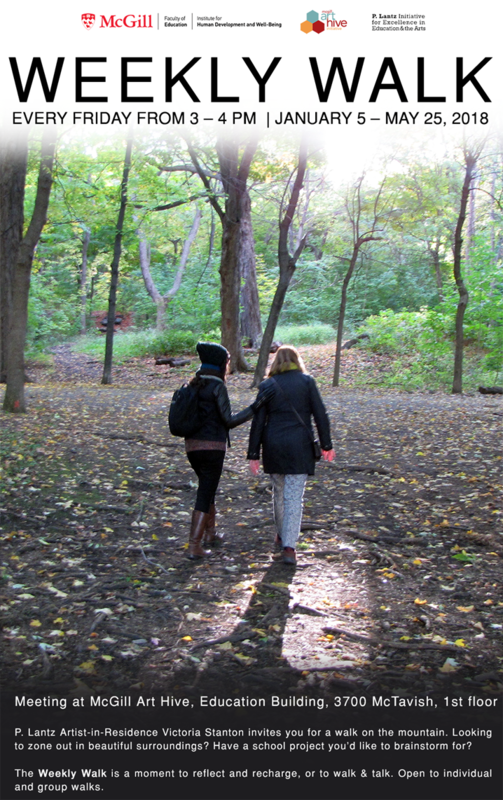 My project saw me carrying out performative research, engaging principally in social transaction: spending time and taking time – to wander, listen, and discover. 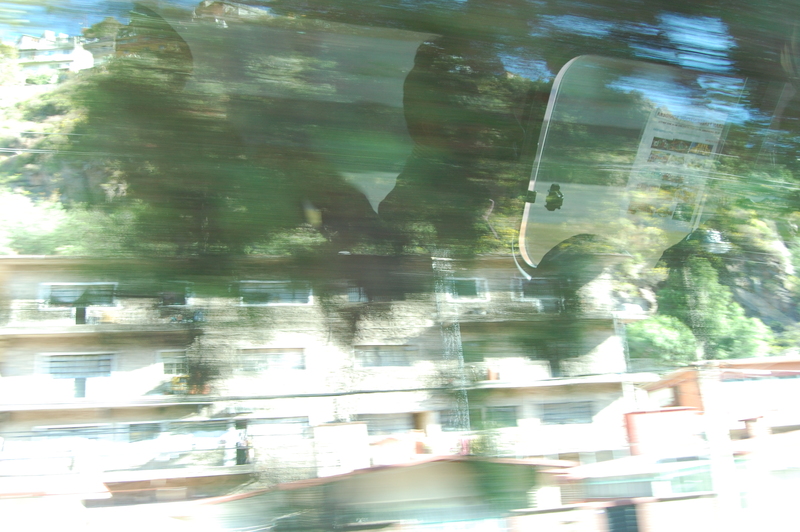 Personal exchanges and shared experiential encounters between people and a local landscape were the focal point of an extended and reflective investigation into the process of acclimatization: of how we come to understand a place, and feel some sense of “belonging” – of how “place” is indeed constructed. Through geopoetic meanderings, one-on-one encounters and performative collaborations, these explorations considered the many and varied ways of embodying transitional, liminal, “in-between” spaces (physical, emotional, and psychological). While in residence, I studiously documented all aspects of my visit with the intention of developing an eventual series of images. I thought I would be depicting what I saw. But then I began capturing things that weren’t quite there. How to depict the imperceptible? Wishing to not name it specifically but instead to invoke via the residue of these encounters, these images will be the trace of a trace – the documentation of performative encounters now being mined to reveal this space between space, where what we see in front of our eyes might not tell the entire story, and where what we feel (beyond our five senses) might contain valuable information that our body imperceptibly receives. …And so, with all this floating in the ether, working alongside technician extraordinaire Etienne Fortier (quite honestly, another collaborator in the creation process), over the next week I will play with fabrics, textures, and layers in an attempt to bring this vision to life as it moves toward the next manifestation: an exhibition of this performative work. This entry was posted in News on June 12, 2017 by Victoria Stanton.